Do you hear wedding bells? Well we can hear them loud and clear, as we welcome our latest client, UK Bridal Week – a fresh and fabulous new trade event for the bridal industry. The three day fair will take place at the NEC in Birmingham in May 2019, showcasing the very best in bridal design and married with an excellent marketing and PR strategy by the RONIN team. Launching in the Spring of next year, the show is set to ruffle the fabric of the bridal market. RONIN will be helping to ensure the new show is a success, by designing and building the event its own bespoke, responsive website, establishing and managing its social media presence and developing a robust digital marketing strategy. In addition, the team will be handling UK Bridal Week’s presence in the media. 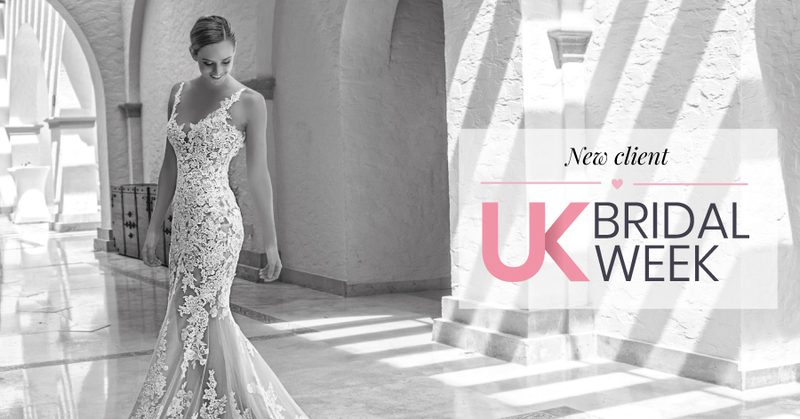 With the show taking place from the 12th to the 14th of May 2019, UK Bridal Week promises to showcase the very latest collections from the biggest names in bridalwear. We look forward to watching the event grow from strength to strength in its first year and make a name for itself in the international bridal sphere. You can keep up to date with all our latest news on social media. Find us on: Facebook, Twitter, Google+, LinkedIn and Instagram.